On Friday 22nd November 1963, John F Kennedy, the thirty-fifth president of the United States of America, was assassinated at 12.30 pm local time in Dallas, Texas. The event was to shock the world and go on to be etched in the memories of future generations, mainly due to the amateur film footage that recorded the tragic incident at the time. Kennedy was fatally wounded by several contested gunshots as he rode in a presidential motorcade in Dealey Plaza, Dallas. He was the fourth president to be assassinated and one of the country’s most popular. An investigation into the murder revealed ten months later that the assassin was Lee Harvey Oswald. However, in 1976 a further investigation carried out by the House Select Committee on Assassinations, concluded that the President had been assassinated ‘probably as a result due to conspiracy’. J F Kennedy, like all presidents, was not without his enemies. The Democratic Party leader’s liberal stance certainly agitated the ultra-conservatives both within the political arena and conservative factions within American society. Kennedy’s social reforms and anti-war position did not go down well with the right-wing, religious fraternity of the country. This was also a volatile time with the Civil Rights Movement challenging racial discrimination and protests against US military involvement in Vietnam. One major critic of Kennedy’s liberal policies was an organisation known as The John Birch Society. The JBS, an ultra conservative and religious organisation, was founded in 1958 to counter what it saw as a threat to the status quo of federal government and was particularly concerned about communist infiltration. 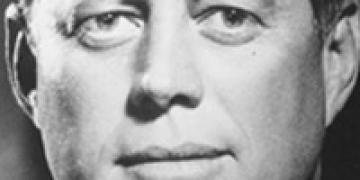 Kennedy’s views on the Vietnam War had riled the JBS and its members who were ardently anti-socialist, anti-leftist and virulently supported free-enterprise. The JBS even opposed the Civil Rights Movement on the grounds that they believed it was supported by the American Communist Party. Throughout Kennedy’s presidential campaign and on the day he toured Dallas, various groups demonstrated and handed out fliers accusing him of treason, mainly for conspiring with communists. The day before Kennedy was killed a handbill criticising the President on the above issues was also distributed. On the actual day of the assassination a paid advert by the JBS, proselytising similar accusations, was published in the local press. John F Kennedy’s tour of Dallas began on 20th November 1963. He had chosen to visit the Texas state to help raise funds for his Democratic Party presidential campaign for the upcoming 1964 election. He ignored warnings of possible disturbances and threats to his life and on 22nd November chose to take a motorcade through Dallas city centre. Ironically, the president had discussed the possibility of a sniper attack with his security team that very morning. The president’s motorcade route was worked out with precision by both the Dallas police and the Secret Service. But rather oddly, Winston Lawson of the Secret Service, put in a request to the Dallas force that they refrain from assigning homicide detectives to follow behind the president’s vehicle. It was later implied after the assassination that had these safeguards been put in place, Kennedy may have survived the attack. Certainly a bullet-proof vehicle would have helped shield the president, but in 1963 there were no presidential cars with bullet-proof tops. A 1961 Lincoln Continental, open top limousine was chosen to take the president, Jacqueline Kennedy, Texas Governor John Connally and his wife Nellie, on the short tour. Kennedy’s planned route was to travel from Love Field airport in a motorcade through downtown Dallas where he would give a speech at the Dallas Trade Mart. Despite a handful of protests the main journey went without incident. On the way Kennedy stopped to shake hands with Catholic nuns and school children, but as his vehicle turned onto Main Street, a man launched himself in front of the limousine. He was soon overpowered by a Secret Agent. It was 12.29 pm local time when the motorcade entered Dealey Plaza. Kennedy’s limousine approached the Texas School Book Depository head on and then made a 120-degree turn in front of the building, which was now less than 65 feet away. According to witnesses, shots rang out shortly after the limousine made the turn from Houston onto Elm Street. There was hardly any reaction from the crowd as most people believed they were hearing a firecracker or car exhaust backfiring. The shooting lasted between six to twenty four seconds. While this occurred the president’s vehicle slowed down from 13 mph to 9 mph before gathering speed to make a speedy exit from the danger zone. The incident was caught on 8 mm film by Abraham Zapruder, whose footage has now gone down in history, and was examined extensively during trials to determine how the president was killed. Zapruder, along with other citizens, some with film cameras, were standing in the nearby vicinity or on the now much referred to ‘grassy knoll’. Many witnesses claimed they heard three gunshots being fired. As soon as the shooting began, Agent Clint Hill who was riding in a car immediately behind the president jumped up and ran towards his vehicle. He quickly climbed onto the trunk in order to protect the president and the First Lady, Jacqueline Kennedy. As Hill held onto a small handrail at the back of the presidential car, he saw a bullet strike the president’s head. During the ensuing chaos the driver sped up causing Hill to jump on to the back of the car as it sped away towards an underpass. Zapruder’s film shows a clearly distressed Mrs Kennedy clambering back towards the trunk. It was rumoured that she had been trying to retrieve a part of the president’s skull or brain, but this is now known to be untrue. Hill crawled over to her and guided the First Lady back into her seat as he shielded both her and the president as the vehicle sped to Parkland Memorial Hospital. Governor Connally had been hit in the back, chest, wrist and left thigh but he survived. At the time he was hit Nellie Connally, his wife, pulled the Governor onto her lap. The resulting posture helped close his front chest wound and helped save his life. James Tague, a spectator who witnessed the assassination, received a minor wound to his right cheek when he was standing less than 300 feet from where Kennedy was hit. It was assumed that his injury was caused by debris that shot up when a bullet hit the curb. The news of Kennedy's death shocked the world. A hero and symbol of hope for millions around the world had been cruelly and inexplicably taken from them. Memorial services were held worldwide and a day of national mourning for a state funeral was arranged for Monday, 25th November 1963.